Bruce and Craig take The Morning Show on the road once again to Shine the Spotlight on Avon Lake. You can join us Monday, Tuesday and Wednesday, September 23-25 at Rio Coffee Brewery, 33388 Walker Road. See below for scheduled interviews. We’ll dial up Tribe Vice President Bob DiBiasio at 7:20am to talk about the team’s push toward the playoffs. At 8:10am, we’ll check in with Mary Ellen Allen from Bob Allen Insurance. What’s it like to publish a weekly newspaper? 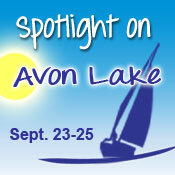 We’ll find out at 8:50am with Peter Comings, Managing Editor of the Avon Lake Press. 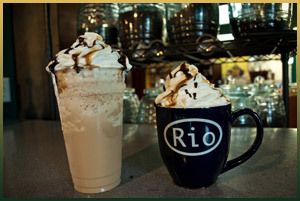 Dave Davis, owner of Rio Coffee Brewery joins us to talk about some of his yummy creations. Avon Lake Mayor Greg Zilka joins us at 7:40am. Dave Davis, owner of Rio Coffee Brewery, talks about some great causes they’re behind. Community Resource Services supports individuals and families in need, and we’ll meet Executive Director Susan Poole at 8:10am. The Voice of the Cleveland Indians…and Avon Lake resident Tom Hamilton…will stop by at 8:40am. At 8:10am, we’ll open the book on the Avon Lake Public Library with Mary Crehore. It’s Homecoming Week in the Avon Lake Public Schools, and at 8:40am, we’ll host Superintendent Bob Scott & head football coach Larry Laird, The Avon Lake Varsity Cheerleaders, and the 100-member Avon Lake High School Marching Band. Really…we couldn’t make this stuff up! 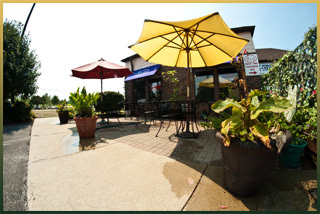 The City of Avon Lake is located in Northern Ohio between the cities of Cleveland and Lorain. As part of Lorain County, Avon Lake’s geographical limits lie off the shores of Lake Erie to the north; the land area is roughly 12 (11.64) square miles. 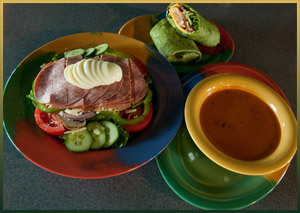 According to the 2010 U.S. Census, the population is approximately 22,581.